In pursuance of its direction of April 9, ASG Tushar Mehta on Friday submitted before the Supreme Court the status report on the living conditions in the Rohingya settlements in Delhi and Haryana. “The report relates to the camps in Kalindi Kunj in Delhi and in Village Firozepur Namak and Village Shahpur Nangli in Nuh, Mewat in Haryana...the members of the Committee include the Deputy Commissioner, Ministry of Health, the Deputy Director, Ministry of Health and the Undersecretary, Ministry of Home Affairs...the sites of the camps were visited and the local inhabitants were interviewed...the report covers such aspects as demography, conditions of habitation, availability of water, education, health facilities and sanitation...in Mewat, there are over 300 Rohingya families with 1,443 members...the members of the Rohingya community have equal access to health centres as the indian citizens in the adjoining ‘Basti’...Auxiliary Nurse Midwife (ANM) workers visit the camps once a week to provide basic health care...there is an adequate supply of drugs...no instances of maternal or child death on account of lack of medical facilities...enrolment of children at anganwadi centres...family planning services...immunisation and pulse polio camps once a month...potable water is made available by pipe in Village Firozepur and by tanker in Village Shahpur...each site has its own toilet and there is no open defecation...no accumulation of garbage...regular power supply...some huts even had a refrigerator...at the primary school in Village Firozepur, out of 500 children, 41 are Rohingyas...they are also entitled to the Mid Day Meal Scheme, free books and bags at par with their Indian counterparts...in fact, the living conditions in the Rohingya camps are slightly better than in the adjacent ‘Basti’...”, he quoted from the report, drawing the attention of the bench to the photographs of the camp. “The report does not paint some rosy picture...the school register and the monthly registration at immunisation camps evidence the findings...”, advanced the ASG. “How many toilets are there?”, asked the Chief Justice. “The problem lies in the fine print...these are not proper toilets, only minimal structures to protect one’s dignity...water may be supplied by tankers, but the tanker may visit only once a week...the water from the hand pump may not be potable...the argument that our citizens are living in abject poverty cannot be advanced to justify the condition of the Rohingyas...”, noted Justice Chandrachud. “The total population is 1,443 and the capacity of the water tanker is 14,000 litres...”, the ASG sought to submit, with the said advocate contending that the water supply is not adequate. “I was also shaken by the initial contentions that children are dying...but now they are alleging that the water supply is not sufficient...Your Lordships, please take a holistic view in terms of the population across the country...please lift the veil”, commented Mr. Mehta. 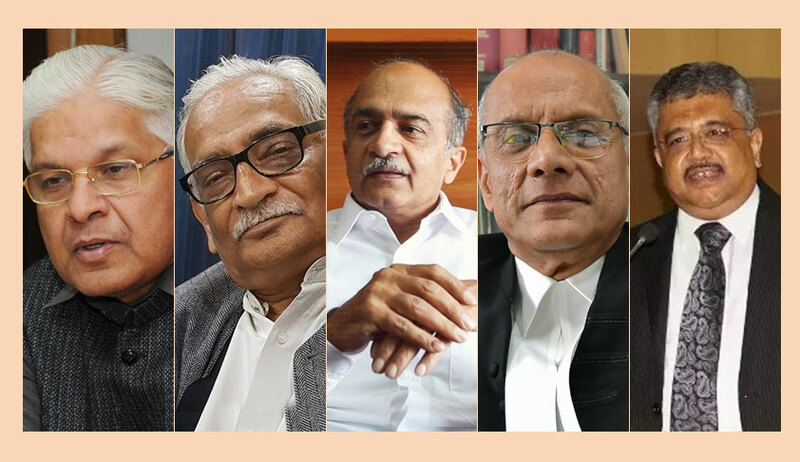 “The camp in Kalindi Kunj was burnt down...a gentleman had posted on his Facebook page that he along with his associates had carried out the act and that they would do it again...I had complained to the concerned police station but no FIR has been registered so far...”, intervened Advocate Prashant Bhushan. “Ask him to file an affidavit...we cannot proceed on the basis of posts in social media”, argued the ASG. “Access to public health care facilities requires Aadhaar...children have not been formally registered in schools for the want of Aadhaar...at least for the time being Your Lordships may direct there shall not be a denial of access to government schools and healthcare for the lack of Aadhaar...so far as water, electricity and sanitation are concerned, Your Lordships may appoint a court commissioner to inspect the status...”, continued Mr. Bhushan. “A refugee card or some other identity card must be issued to these people so that they are not deprived of basic amenities for the want of identification”, he pressed. “...But in so far as it has been stated that several parts of the country are worse off than the Rohingya settlements, shame on the government of India!”, he exclaimed. “I have also noted averments in the reports that the quality of life (in the Rohingya camps) is the same as that of our citizens”, remarked Justice Chandrachud. “This argument cannot stand...equality goes upwards and not downwards...firstly, let us start with equal and comprehensive treatment...secondly, there needs to be an X-Ray examination of whether the equal and comprehensive services in terms of water, schools and jobs are actually being provided...in the past, in the Right to Food case (PUCL v. UOI; 2001), Commissioners have been appointed...there is no reason for anyone to fear a High Powered Committee...the two aspects are of the commitment (of the State to the refugees), whether on offence or the defence, and of the examination of the availability of Article 21 rights...”, elaborated Dr. Dhawan. “Sometimes I ask myself, what if the Rohingyas were Hindus? They have been forced to flee their country?......can they constitute a class of foreigners [unclear]...this becomes a communal issue?...”, he advanced. “Urgently, we are concerned with the protection of human dignity...we cannot issue a string of directions for the provision of facilities to these slum dwellers, particularly when 60% of Mumbai is a slum area...”, noted the Chief Justice. “The question is of need, and not comparison”, contended Dr. Dhawan. “Let us take the issue of livelihood...could Your Lordships issue directions to see whether or not these people are getting a livelihood?”, he suggested. He stated that the concern also pertains to the standard of education, health, food and water. “The Food Security Act (National Food Security Act of 2013) does not distinguish between citizens and non citizens”, he had pointed out on Friday. “In your report, you have asserted that there is no discrimination between the Rohingya children and the citizens as to the Mid Day Meal Scheme and the books...it implies that as a matter of policy, you are not denying the former these facilities...so if any child is being deprived of the same, you could simply ensure that he can avail the facility”, recommended Justice Chandrachud to the ASG. Agreeing, Mr. Mehta said that the issue of deprivation could be addressed if the parent of the concerned child contacts in that behalf. When Chief Justice Dipak Misra remarked that a nodal officer could be appointed who may be contacted by the parent, guardian or relative, the ASG suggested that the SDM may be such nodal Officer. Justice Chandrachud added the SDM shall be responsible for sending a team to inspect the living conditions in the settlements. “Human rights are a part of Article 21...the humanitarian concept is not being denied...but these rights have to be secured proportionally, applying the doctrine of equivalence and comparability, and depending on the population of the citizens and non citizens...”, observed the Chief Justice. “in view of the huge discrepancy between the two sets of affidavits, the issue can only be resolved by a court appointed commissioner...It would only be a two day long exercise...some child’s parents may be aggressive enough to reach out, while others might not be...”, the former Union Law Minister had urged. “This could be a gateway to voter’s ID or passports”, added Mr. Mehta. Noting that all other issues shall be addressed at the final hearing on the writ petitions, the bench on Friday directed that the SDM of the concerned areas shall be appointed as the nodal officer and that the parent, guardian or relative of a child or any other person could approach the nodal officer in the event of denial of the facilities stated as being delivered in the status report. The matter is scheduled for further hearing on August 27.